In Season 2 of the Netflix show Daredevil, we found out that Matt Murdock’s mom is still alive. He always thought she died long time ago but in fact she became a nun. We learned his mom’s history and why she gave up Matt and left him to leave with his dad. We will always wonder why she didn’t tell him earlier. Maggie was always taking care of Matt when he was injured. Maggie is a nun/sister at the church. She doesn’t tell Matt herself but when she’s praying to Jack, she mentions that Matt is their son. Matt with his super hearing heard this and was in shock and left. 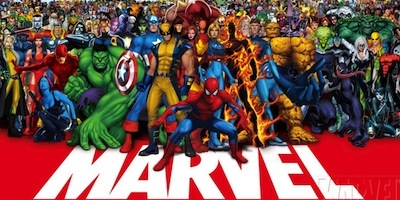 Click here to find more Daredevil costumes. 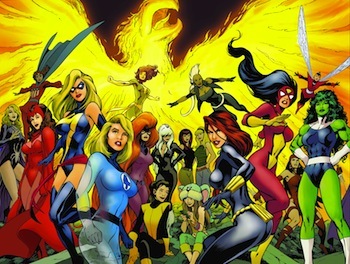 Below you will find Daredevil’s mom Maggie costume ideas. Daredevil’s mom is a sister in the church. She was a sister before she met Jack, the father of the child. She was living with Jack but became despondent and felt guilty for leaving the church. She later went back to the church and became a nun. This will totally transform you to look like Maggie. Another option to look like a nun like Maggie in Daredevil. 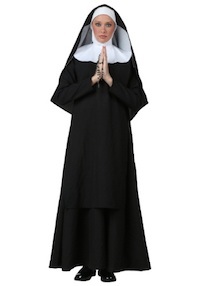 Click here to get Maggie’s nun costume. 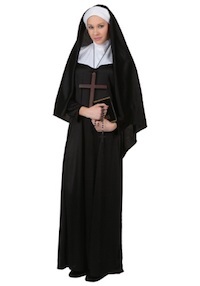 Another nun costume to look like Maggie. Maggie’s costume to look like her in Daredevil. 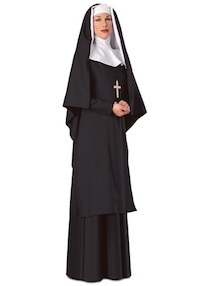 Click here to get Maggie’s nun costume in Daredevil.